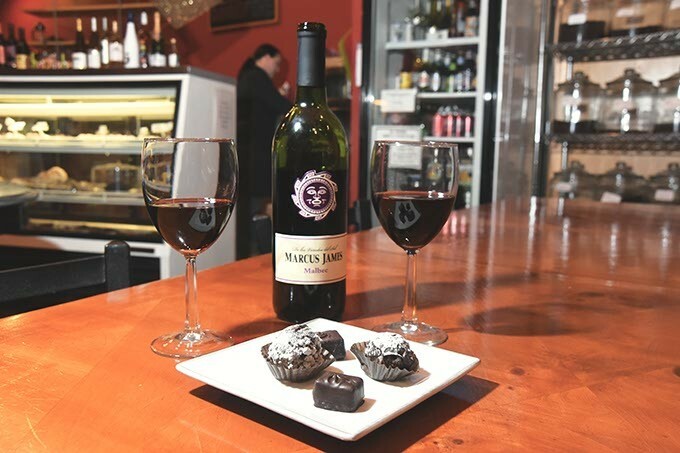 Wine and chocolate make for a romantic get together, at Michaelangelo's Coffee and Wine in Norman, 1-21-16. To this day, scholars puzzle over his question. What is love? Can it be felt physically, or is it merely an abstract concept to which we ascribe physical traits? And who are these babies hes so afraid of? All of these are terrible things to talk about on date night, by the way. You remember. Date night? Oh, man, I cant believe you forgot again! Dont worry; Oklahoma Citys romance restaurant experts are here to help you salvage this nightmare. 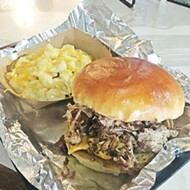 Reservations for a special Sunday dinner at Paseo Grill, 2909 Paseo St., go fast, but Rawlinson said that has a lot to do with the atmosphere of the restaurant. Valentines Day might be the big event, but she said the restaurant is built for intimate meals anytime. As such, the Valentines menu will be available starting Thursday for those who cant make a Sunday supper. Other high-end options include Boulevard Steakhouse, 505 S. Boulevard, in Edmond, where diners receive attentive service and mouthwatering dishes like filet tips and wild mushrooms and one of the best bowls in the metro: truffled mushroom soup. Though Michelangelos Coffee and Wine Bar, 207 E. Main St., in Norman isnt fancy, owner Michael Palermo said its plenty romantic. For Valentines Day, the restaurant tops tables with white cloth, offers deals on bottles of wine and makes sure that everybody gets a little of that romantic treat: chocolate. 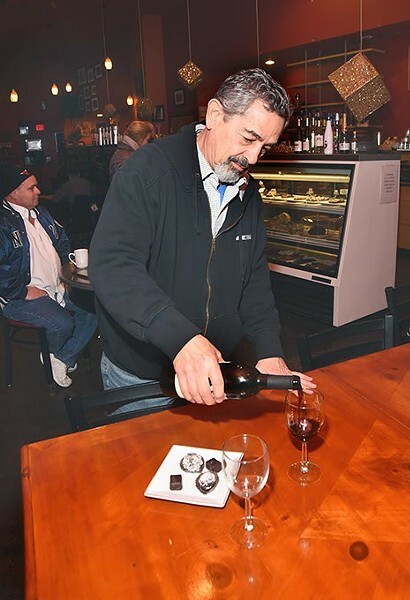 Michael Palermo, owner, pours Wine next to a selection of chocolate, the makings for a romantic get together, at Michaelangelo's Coffee and Wine in Norman, 1-21-16. In fact, Palermo said the shop hosted the wedding of one couple who had their first meeting at Michelangelos. Unlike some of the most bustling watering holes in the metro, this Norman wine bar might have a bit of live music, but its mostly a great place for intimate drinks, one-on-one conversations and budding romances. 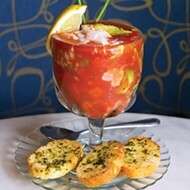 If drinking is a must for your date, check out WSKY Lounge, 228 NE Second St., in Deep Deuce. While the evening gets rowdier at sister restaurant Slaughters Hall next door, WSKY is a little more reserved. Its an excellent place for whiskey, but the bar runs deep for whatever kind of cocktail you desire. For a rollicking good time and access to plenty of spirits, Pearls Oyster Bar, 5641 N. Classen Blvd., is an obvious choice, especially if you forgot to get a reservation, said assistant general manager Brandon Eller. Oysters at Pearl's in Oklahoma City, Thursday, Jan. 21, 2016. 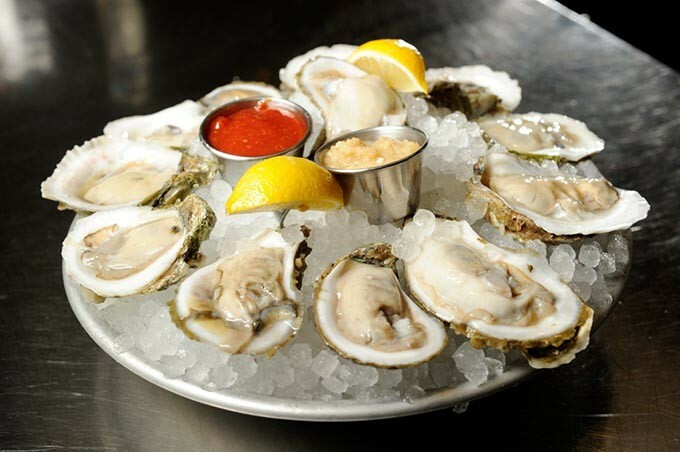 As one of Oklahoma Citys oldest seafood restaurants, Pearls has become the go-to spot for many seeking that most romantic of aphrodisiacs: oysters. 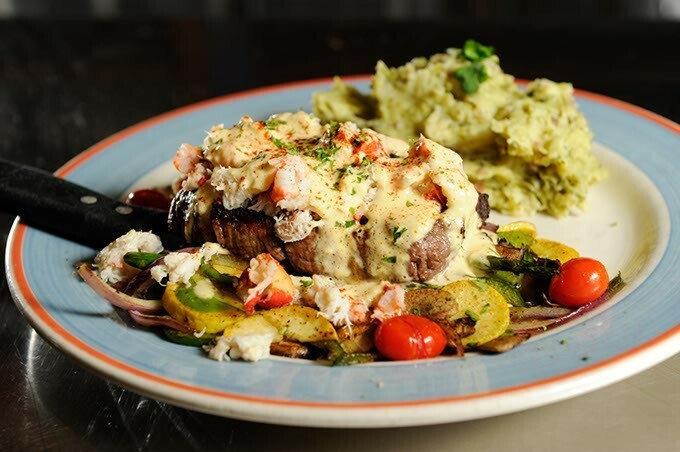 But those who are less inclined toward slurping bivalves from a shell will still find plenty to love, including a Valentines special of filet or mahi mahi topped with a mix of lobster and crab and a jalapeño-cilantro béarnaise sauce. Filet special for Valentine's Day at Pearl's Thursday, Jan. 21, 2016. 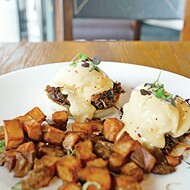 Since Valentines falls on a Sunday, Pearls is serving its romantic magic all day, starting with brunch. Another fish lovers paradise is Tokyo Japanese Restaurant, 7516 N. Western Ave., where the menu goes from cooked to raw and everywhere in between. For something light and exotic, adventurous eaters might want to give the sea urchin nigiri a try. French is the language of love, so French food must be the most romantic cuisine around. What better reason to give always-lovely La Baguette Bistro, 7408 N. May Ave., a visit? If escargot and beef tartare arent up your alley, Oklahoma Citys best-known French eatery also plates seared duck breast and leg confit, beef bourguignon over fettuccine and desserts so rich, you might want to skip dinner altogether. What is dating but bringing two disparate worlds together? 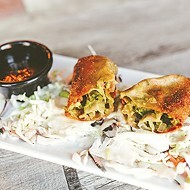 Thats what makes La Brasa International Cuisine, 1310 NW 25th St., such an inspired choice. Peruvian and Korean food come together in an exciting menu thats a delight for the taste buds and a sure conversation starter. The famed pollo a la brasa, an amazing roasted chicken, is paired with kimchi, herbs, naan and slaw in the Pollo a La Brasa y China, but maybe save that for a couples date night. If youre feeling frisky, order the Ceviche Leche de Tigre. Even if the aphrodisiac effect is just a placebo, its a deliciously fresh dish. Hopefully, if you take any of this advice, your date night will be successful enough that you wont be pondering Haddaways philosophical challenge alone afterward. 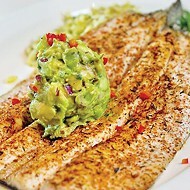 Print headline: Romantic repast, Its not too late to plan a romantic evening (or morning) for Valentines Day.